The Afternoon Tea Club Reviews: Joe's Tea Co. 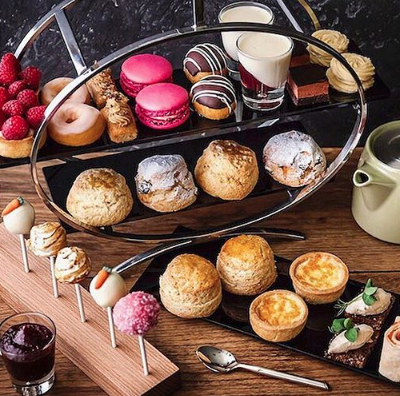 It should be pretty obvious by now that here at the Afternoon Tea Club we like a good cuppa so naturally when we receive lovely tea things in the post, it gets us just a little bit excited. 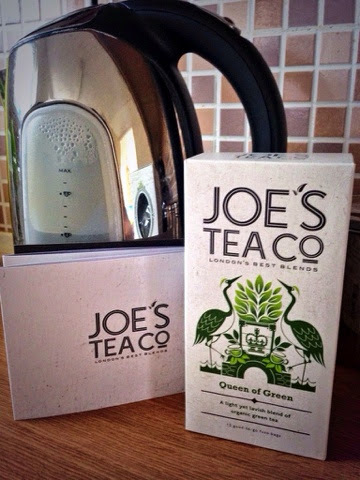 We were recently treated to a lovely box of Joe’s Tea Co. Queen of Green Tea (Thanks for sending it over!) and we have to say it was rather delicious. 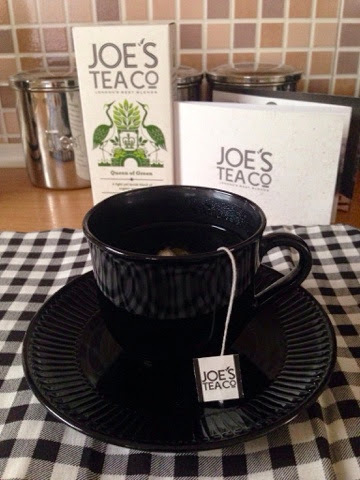 Taking the fuss out of tea time and in the interest of being eco friendly, Joe’s Tea is made from completely organic tea, herbs and fruit and interestingly is only ever transported by land or sea – this really is green, green tea. The first thing you notice about Joe’s Tea is the presentation. The packaging is simple yet has that modern cool which adds to the current fashion for tea drinking. Now to the taste. Green tea has always been a good cleanser after a meal or quick pick me up and this blend provides a refreshing taste to do just that. The flavour is strong and distinctive - Queen of Green fit for the queens of Afternoon Tea ... ahem. I would love to try some other blends from Joe’s Tea Co., particularly the Proper Peppermint flavour. To find out more about Joe’s Tea Co. and to find stockists head to www.joesteacompany.com.